Is repressive coping associated with suppression? The purpose of the current study was to investigate the relationship between repressive coping and the use of suppression as a mental control strategy. Participants completed the State and Trait Anxiety Inventory (STAI), and the Marlow-Crown Social Desirability Scale (Marlow-Crown) as a means of assessing repressive coping and the White Bear Suppression Inventory as a means of assessing suppression. Our results indicate a positive association between repressive coping and thought suppression as a strategy of managing unwanted thoughts and emotions. Clinical implications are discussed. Key words: repression, suppression, repressive coping. Although traditionally associated with Freud, the term and the concept of “repression” was introduced into psychology before the development of psychoanalysis, by Johann Herbart (1824-1825) (Herbart, 1816/1891), to designate the [nondefensive] inhibition of ideas by other ideas (Erdelyi, 2006). Herbart applied repression to the classic problem of the limited span of consciousness: ideas compete for entry into consciousness and the stronger or dominant ideas inhibit, that is, repress, weaker ideas, which are not destroyed, but remain in a “state of tendency” (Erdelyi, 1993). The concept was popularized by Freud however, who noted that the purpose of repression was a defensive one. It was his claim that when ideas or memories produce anxiety, the individual tends to repress the material from consciousness, to get rid of the intolerable affect that they produce (Freud, 1915/1957). In Freud’s work, repression captured several forms of motivated unawareness, both intentional and unintentional, with forgetting and without it (Wegner, 1992). In his paper on repression, he notes that its essence “lies simply in the function of rejecting and keeping something out of consciousness” (1915/1957, p.147). The fact that Freud did not clearly define the nature of repression (i.e. conscious vs. unconscious, intentional vs. unintentional), and that he used the terms “repression” and “suppression” interchangeably, has resulted in later research using the term in a highly diverse and almost contradictory manner (e.g., conscious process, unconscious process, specific defense, class of related defenses, defense mechanism, coping style etc.) (Myers, Vetere, & Derakshan, 2004). However, Freud’s focus on examples that entail unconsciously motivated, unintentional memory loss is probably the reason why, in current use, repression is frequently employed as a term for unintentional, unconscious forgetting, despite some notable attempts to reconsider this view (see Erdelyi, 1993; 2006). Although over the past century, many experimental studies have addressed these hypothesized characteristics of repression, none of the succeeded in finding solid evidence for the existence of repression as an entirely automatic phenomenon (Geraerts, Merckelbach, Jelicic, & Smeets, 2006; Holmes, 1990). Suppression, on the other hand is considered a conscious process (Myers et al., 2002). For example, DSM-IV defines suppression as a “defense mechanism in which a person intentionally avoids thinking about disturbing problems, desires, feelings or experiences” (DSM-IV, 1994, pp.756-777). Although researchers have differing views and definitions of suppression, there is a general agreement that it is a conscious process. During the past decade, the study of suppression as a mental control strategy has been mainly based on the work of Daniel Wegner (and his colleagues), who defines suppression as a motivated attempt not to think of a particular thing/ thought (David & Brown, 2002; Wegner, Schneider, Carter, & White, 1987). Experimental data shows that humans do have a certain degree of control over their minds, and that suppression is sometimes a viable control strategy (Abramowitz, Tolin, & Street, 2001). However, this does not make it an easy one (Wegner, 1994a) and research on thought suppression has indeed documented frequent failures. Initial studies by Wegner and colleagues (see Wegner et al., 1997) as well as numerous subsequent ones, have shown that when subjects are instructed not to think of a certain thing (e.g., white bears) they report a higher number of unwanted intrusions, both during suppression (immediate enhancement effect), as well as after suppression efforts are released (rebound effect) compared to subjects who are not trying to suppress. Participants to this kind of studies usually report a heightened sensitivity to unwanted thoughts, recorded not only by subjective reports, but also by physiological measures (Wegner, Short, Black, & Page, 1990). Thus, it seems that the very things we are trying not to think of are the ones that invade our minds (particularly when we are tired on under stress). Although there may be many reasons why people choose to suppress a thought, an important one is using it as a strategy when thoughts create unpleasant emotions (Wegner, 1992). Thus, unsuccessful thought suppression also affects emotions. When people are instructed to suppress emotional thoughts, the resultant sensitivity to these thoughts appears to heighten emotionality (Wegner & Zanakos, 1994). The general conclusion of studies in this area is that suppressing emotional thoughts creates a high frequency and hypersensitivity to depressing, anxiety-producing thoughts, etc., which translates into the production of mood states associated with these thoughts (Wegner & Zanakos, 1994). When confronted with negative thoughts and feelings, people resort to different coping strategies (see David, Miclea, & Opre, 2004; David & Szentagotai, 2006). Research in the past two decades has shown that disturbing, intrusive thoughts are relatively common among normal and clinical subjects (Freestone, Ladouceur, Thibodeu, & Gagnon, 1991; Purdon & Clark, 1993). Given their unwanted nature, people will often try to get rid of them. Also, our emotional lives consist not only of positive feelings that we like to savor, but also negative ones, which we would like to make disappear most of the times. Since we are not “equipped” with a mechanism that functions as an emotional thermostat, what we can do is manipulate the processes that affect emotions (Wegner & Wenzlaff, 1996). There is increasing evidence that in everyday life individuals may use inhibitory processing strategies to regulate awareness of thoughts and memories that may cause negative emotions (Barnier, Levin, & Maher, 2004). According to more recent interpretations, repression can be considered a trait, reflecting a habitual style of coping with aversive events. The best-known approach to the study of repression as a trait was introduced by Weinberger, Schwartz and Davidson (1979). According to these authors, individuals are considered to have a repressive coping style if they are highly defensive but also low in anxiety. Weinberger contrasts repressive copers with low anxious (low anxiety, low defensiveness), high anxious (high anxiety, low defensiveness), and defensive high anxious (high anxiety, high defensiveness) individuals. Weinberger (1990) argues that “repressors fail to recognize their own affective responses … [they] are likely to employ a variety of strategies to avoid conscious knowledge or their ‘genuine reactions'”. Experimental data suggest that repressors are highly psychologically reactive in potentially stressful situations, while reporting low levels of distress (Barnier et al., 2004; Derakshan & Eysenck, 1997, 2001). They also exhibit an avoidant emotional style (Bonnano, Davis, Singer, & Schwartz, 1991). For example, Fox (1993), using a dot probe task, found that repressors shifted attention away from socially threatening words. Similarly, results of emotional Stroop tasks suggest repressors avoid socially threatening words (Myers & McKenna, 1996). Another aspect that has been consistently observed in studies concerning repressors is that this defensive style leads to specific memory impairments (Barnier et al., 2004). A series of studies indicate that repressors have limited access to their childhood memories, but also to their more recent autobiographical memories. In experimental studies, it has been noticed that these subjects have difficulty recalling negatively valenced material, both when the material is self-generated (e.g., autobiographical memory tasks) and when it is experimentally-generated (e.g., directed forgetting tasks) (Barnier et al., 2004). Research also shows that this phenomenon usually appears in the case of a specific type of material – information related particularly to the subject’s personal history and/or threatening to the self (Myers & Derakshan, 2004), prompting some authors to label repressors as “self-deceivers” rather than “other-deceivers” (Derakshan & Eysenck, 1999). For example, Boden and Baumeister (1997) found that repressors were faster at recalling happy memories after watching an unpleasant film than a neutral film, whereas nonrepressors exhibited the opposite effect. On the other hand, in a study by Myers and Brewin (1995) where participants were asked to learn a story containing both positive and negative information and relate it to themselves, repressors recalled significantly fewer negative aspects than nonrepressors, while there was no difference between the two groups in the recall of positive and neutral aspects (Myers & Derakshan, 2004). Suppression can also be considered from the point of view of a relatively stable mental and emotional control strategy (Wegner & Zanakos, 1994). As we have seen, intrusive thoughts are a relatively common experience in non-clinical subjects and outside of the laboratory as well, and suppression – a strategy that most of us resort to under certain circumstances. The desire to avoid depressing, traumatic, anxious, socially unacceptable thoughts appears frequently in situations that generate such thoughts, just as it sometimes happens to try to avoid thinking of food (e.g., when dieting) or to addictive substances (e.g., alcohol) (Wegner & Zanakos, 1994). However, people differ both in which their ability to suppress is concerned as well as their tendency of using it as a mental and emotional control strategy (Wegner & Zanakos, 1994). There are individuals who employ suppression systematically in everyday life, as a preferential and usual way of coping with unwanted thoughts and emotions (Petrie, Booth, & Pennebaker, 1998). It seems that this tendency develops in childhood, and it has been linked to a parental style that promotes avoidant coping strategies (Cooper, Shaver, & Collins, 1998). Since thought suppression attempts are quite frequently prone to failure (at least in the laboratory), there are those who suggest that a chronic and generalized tendency to suppress can lead to an increased frequency of the very thoughts and emotions the person is trying to avoid. The objective of the current study was to investigate whether there is an association between repressive coping and the use of suppression as a mental control strategy. Previous research addressing the question of the association between the two has yielded mixed results. Thus, Giese-Davis and Spiegel (2001), using a group of metastatic cancer patients, found that repressive coping and suppression are separate factors. This result was later confirmed by Myers et al. (2004). On the other hand, there are results indicating that repressors may be natural suppressors (Barnier et al., 2004). In a pioneering study, Barnier and colleagues used the thought suppression paradigm (Wegner, 1994b) to find out whether repressors are superior to controls (low anxious, high anxious and defensive high anxious) in intentionally suppressing emotional events (e.g., proud or embarrassing) from their past. Results revealed that, for the proud event, all groups avoided target thoughts when instructed to suppress. However, for the emotionally negative (i.e. embarrassing) event, repressors reported fewer target thoughts that all the other groups, even when not instructed to suppress (Geraerts et al., 2006). Moreover, regardless of the instruction to suppress, repressors did not exhibit the typical post-suppression rebound effect. These results made the authors conclude that repressors are “natural suppressors” (Barnier et al., 2004), skilled in avoiding negative thoughts. In a similar study, Geraerts et al. (2006) investigated whether repressors are more skilled at suppressing positive and anxious autobiographical thoughts than low anxious, high anxious, and defensive anxious subjects. Replicating the results of Barnier et al. (2004), the authors found that in the case of negative (i.e. anxious) autobiographical events, repressors reported the lowest number of target thoughts during the suppression period. The low frequency of negative target intrusions was irrespective of instruction (suppress or express), leading the authors to conclude that repressors rely on suppression as a habitual coping strategy. Unlike Barnier et al., a strong rebound effect was observed in the Geraerts study, with participants reporting more intrusions of thoughts they had been instructed to suppress (Geraerts et al., 2006). As mentioned above the objective of the current study was to investigate the relation between repressive coping and suppression. More precisely, we were interested in seeing whether there is an association between repressive coping tendencies as described by Weinberger (Weinberger et al., 1979) and the use of suppression, as measured by the White Bear Suppression Inventory (Wegner & Zanakos, 1994). Based on the analysis of the few available studies on this topic, we predicted a positive relation between repressive coping and suppression. Although the design and method of this study are simple, the clarification of the research question is important for the literature regarding the cognitive approach of distress. Thus, the results would clarify the cognitive mechanism of emotional regulation with a direct influence on the cognitive conceptualization and cognitive-behavioral techniques in psychological practice (see Ellis, 1994). A total of 75 undergraduate students participated in the study (22 men and 53 women). Their ages ranged between 22-45 years of age, with a mean age of 27 (sd 8.32). The WBSI (Wegner & Zanakos, 1994) was used to assess the general tendency to suppress thoughts. This measure is made up of 15 items, presented in a Likert-type format. Respondents indicate the degree to which they agree with each item using a 5-point scale (1=strongly disagree; 5=strongly agree). Scores can range from 5-75, with higher scores reflecting a greater tendency to suppress. The scale has adequate psychometric properties (e.g., α = .84). The STAI (Spielberger, Gorsuch, & Lushere, 1970) is a self-assessment anxiety scale which includes separate measures for state and trait anxiety. Participants to this study completed the trait anxiety scale, defined by Spilberger as a “general tendency to respond with anxiety to perceived threats in the environment” (Spilberger et al., 1970). The scale has good psychometric properties. The MC (Crown & Marlowe, 1964) is a self-report scale, originally devised to measure the tendency of an individual to respond in a culturally sanctioned and desirable manner, to gain approval from others (i.e. social desirability). The scale has good psychometric properties (e.g., α =.76). Table 1 presents the means and standard deviations for each measure. Correlation was computed between repressive coping tendencies (assessed by the STAI and MC) and thought suppression (assessed by the WBSI). STAI and MC results were combined into one score, after transformation into standardized z scores. This combined score was then correlated with the WBSI scores. A correlation coefficient (r) of .35 (p<.05) was obtained. 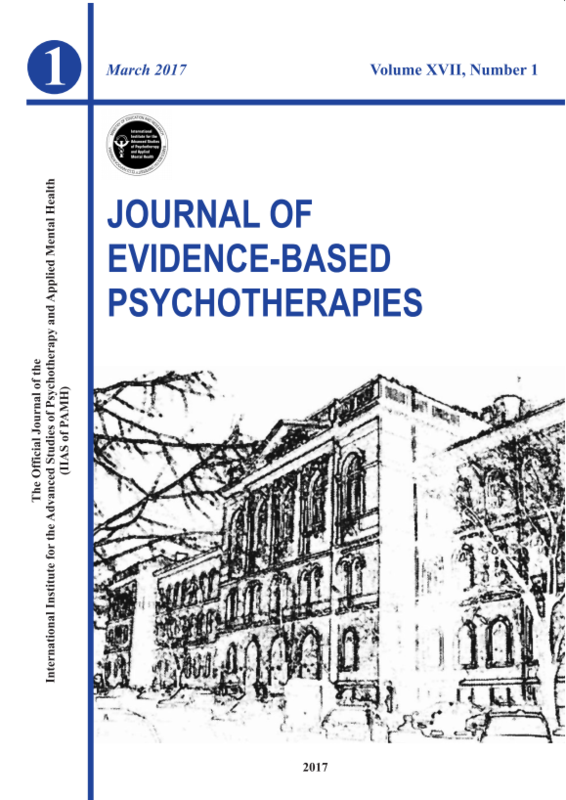 The objective of the current study was to determine whether there is an association between repressive coping tendencies and thought suppression, two inhibitory processing strategies that are conceptualized as ways of regulating awareness of thoughts and memories that may cause negative emotions (Barnier, Levin, & Maher, 2004). As evidence suggests that repressors have an avoidant processing style and tend to avoid negative affect, it seems feasible that they may be using methods of banishing unwanted and unpleasant experiences from their mind (Myers, 1998; Myers, Brewin, & Power, 1998). Unlike other studies, which addressed this issue by using samples of subjects identified as repressors, we approached this question by analyzing the pattern of association (correlation) between repressive coping tendencies and suppression in the general population. In line with our initial prediction, the results indicate a positive relation between repressive coping (usually viewed as an automatic emotional regulation strategy) and the tendency to resort to motivated thought suppression when confronted with unwanted mental contents. In other words, our data indicate that higher repressive tendencies are associated with an increased use of thought suppression. In this context, an interesting question refers to the relationship between the two strategies. Although previous research highlights the nature of material that prompts repressors to resort to inhibitory strategies, it is not yet clear whether these strategies are: (1) an automatic response to particular information; (2) motivated attempts to control awareness of certain cognitive material; or (3) a combination of both. One possibility, as suggested by some authors, would be that they are independent processes (e.g., Giese-Davis & Spiegel, 2001) that belong however, to a common “inhibitory” cluster. The other possibility, also supported by the literature is that we are in fact looking at the same phenomenon, at different levels of automatization. More precisely, repressors exhibit a “natural suppression style” (Barnier et al., 2004). Over time, and repeated practice, effortful suppression may take the form of automatic, effortless “repression” (Wegner & Zanakos, 1994). The association between repression and suppression draws attention to another aspect, with possible clinical implication: the adaptive versus the maladaptive nature of employing such inhibitory strategies in managing unwanted (e.g., traumatic) mental contents. Although a repressive coping style has been found to be related with adverse health outcomes (Burns, 2000), there are no studies on the long term cognitive effects of repressive coping. However, extensive research by Wegner and colleagues suggests that active thought suppression is not effective, and numerous suppression studies underscore that efforts to block may be followed by a paradoxical (i.e. counterintentional) effect, leading to heightened levels of intrusive thoughts about the unwanted material (Wegner, 1994; Wegner & Lane, 1995). Moreover, there is also evidence suggesting that the “chronic” thought suppression may be associated with high levels of dysfunctional negative emotions (e.g., anxiety, depression) (e.g., Szentagotai, 2006). In fact, the account regarding the paradoxical effects of suppression as a factor that maintains emotional disorders has been quite widely accepted in the literature. Indeed, there are some results, reported by Geraerts et al. (2006) that seem to support the idea that although repressive coping may be associated with immediate successful inhibition, in the long run it may be counterproductive as it results in increased sensitivity to the unwanted thoughts. Moreover, there is some interesting evidence suggesting that repressive coping as well as suppression may be associated with a decreased immune competence, at least on the short run (Jamner & Leigh, 1999; Petrie, Booth, & Pennebacker, 1998). In conclusion, our results indicate that repressive coping and thought suppression tendencies are associated. We believe further studies are necessary to elucidate the nature of this relationship, as well as the long-term cognitive and emotional consequences of using such inhibitory control strategies. As concerning the clinical importance, these results have a potentially, important impact on the rational-emotive & cognitive-behavioral strategies aiming to restructure dysfunctional cognitions in order to regulate negative feelings. In our previous studies (Szentagotai, 2006) we have shown that the impact of irrational beliefs on distress is mediated by thought suppression. Therefore, an incorporation of these emotional control strategies into the ABC model of rational emotive & cognitive-behavioral therapies is fundamental for a more comprehensive approach of the cognitive mechanisms of distress. Abramowitz, J.S., Tolin, D.F., (2001). Paradoxical effects of thought suppression: A meta-analysis of controlled studies. Clinical Psychology Review, 21, 683-703. American Psychiatric Association (1994). Diagnostic and Statistical Manual of Mental Disorders IV. American Psychiatric Press. Barnier, A.J., Levin, K., & Maher, A. (2004). Suppressing thoughts of past events: Are repressive copers good suppressors? Cognition and Emotion, 4, 513-531. Beck, A.T., Rush, A.J., Shaw, B.F., & Emery, G. (1979). Cognitive therapy of depression. New York: The Guilford Press. Boden, J.M, & Baumeister, R.F. (1997). Repressive coping: Distraction using pleasant houghts and memories. Journal of Personality and Social Psychology, 1, 45-62. Bonnano, G.A., Davies, P.J., Singer, J.L., & Schwartz, G.E. (1991). The repressor personality and avoidant information processing: A dichotic listening study. Journal of Research in Personality, 2,386-401. Burns, J.W. (2000) Repression predicts outcome following multidisciplinary treatment of chronic pain. Health Psychology, 1, 75-84.
Cooper, M.L., Shaver, P.R., & Collins, N.L. (1998). Attachment styles, emotion regulation, and adjustment in adolescence. Journal of Personality and Social Psychology, 5, 1380-1397. Crown, D.P., & Marlowe, D.A. (1964). The approval motive: Studies in evaluative dependence. New York: Wiley. David, D., Miclea, M., & Opre, A. (2004). The information-processing approach to the human mind: Basic and beyond. Journal of Clinical Psychology, 4, 353-369. Derakshan, N., & Eysenck, M.W. (2001). Effects of focus of attention on on physiological, behavioral and reported state anxiety in repressors, low-anxious, high-anxious, and defensive high-anxious individuals. Anxiety, Stress and Coping, 14, 285-299. Derakshan, N., & Eysenck, M.W. (1999). Are repressors self-deceivers or other-deceivers? Cognition and Emotion, 1, 1-17. Derakshan, N., & Eysenck, M.W. (1997). Repression and repressors: Theoretical and experimental approaches. European Psychologist, 2, 235-246. Ellis, A. (1994). Reason and emotion in psychotherapy (Rev. ed.). New York: Carol. Erdelyi, M.H. (2006). The unified theory of repression. Behavioral and Brain Sciences, 5, 499-511. Erdelyi, M.H. (1993). Reppression: the mechanism and the defense. In D.M. Wegner (Ed.) Handbook of Mental Control (pp. 126-148). Upper Saddle River, N.J.: Prentice Hall Inc.
Freestone, M.H., Ladouceur, R., Thibodeau, N., & Gagnon, F. (1991). Cognitive intrusions in a non-clinical population. Response style, subjective experience and appraisal. Behavior Research and Therapy, 28, 585-597. Freud, S. (1915/1957). Repression. In J. Starchey (Ed.). The standard edition of the complete psychological works of Sigmund Freud (Vol.14., pp. 146-158). London: Hogarth Press. (Original work published 1915). Fox, E. (1993). Allocation of visual attention and anxiety. Cognition and Emotion, 7, 207-215. Geraerts, E., Merckelbach, H., Jelicic, M., & Smeets, E. (2006). Long term consequences of suppression of intrusive anxious thoughts and repressive coping. Behavior Research and Therapy, 10, 1451-1460. Giese-Davis, J., & Spiegel, D. (2001). Suppression, repressive-defensiveness, restraint and distress in metastatic breast cancer: separable or inseparable constructs. Journal of Personality, 3,418-449. Holmes, D. (1990). The evidence for repression: An examination of 60 years of research. In J. Singer (Ed.). Repression and dissociation: Implications for personality theory, psychopathology and health (pp.85-102). Chicago: University of Chicago Press. Herbart, J.F. (1815/1891). (M.K. Smith, Trans). A text-book in psychology (2nd ed). New York: Appelton. (Original wok published 1816). Jamner, L.D., & Leigh, H. (1999). Repressive/defensive coping, endogenous opioids, and health: How a life so perfect can make you sick. Psychiatry Research, 1, 17-31. Myers, L.B. (1998). Repressive coping, trait anxiety and reported avoidance of negative thoughts. Personality and Individual Differences, 3, 299-303. Myers, L.B., Brewin, C.R., & Power, M.J. (1998). Repressive coping and directed forgetting of emotional material. Journal of Abnormal Psychology, 1, 141-148. Myers, L.B., & Derakshan, N. (2004). To forget or not to forget: What do repressors forget and when do they forget? Cognition and Emotion, 4, 495-511. Myers, L.B., & Brewin, C.R. (1995). Illusions of well-being and the repressive coping style. British Journal of Social Psychology, 2, 443-457. Myers, L.B., & McKenna, F.P. (1996). The colour naming of socially threatening words. Personality and Individua Differences, 6, 801-803..
Myers, L.B., Vetere, A., & Derakshan, N. (2004). Are suppression and repressive coping related? Personality and Individual Differences, 5, 1009-1013. Petrie, K.J., Booth, R.J., Pennebaker, J.W. (1998). The immunological effects of thought suppression. Journal of Personality and Social Psychology, 5, 1264-1272. Petrie, K.J., Booth, R.J., Pennebaker, J.W, Davidson, K.P., & Thomas, M. (1995). Disclosure of trauma and immune response to Hepatitis B vaccination program. Journal of Consulting and Clinical Psychology, 5, 787-792. Purdon, C. & Clark, D.A. (1993). Obsessive intrusive thoughts in non-clinical subjects. Part I. Content and relation with depressive, anxious and obsessional symptoms. Behaviour Research and Therapy, 31, 713-720. Spielberger, C.D., Gorsuch, R.L., & Lushere, R.E. (1970). Manual for the state-trait anxiety inventory – form X. Palo Alto, CA: Consulting Psychologist Press. Weinberger, D.A. (1990). The construct validity of the repressive coping style. In J.L. Singer (Ed.). Repression and dissociation: Implications for personality theory, psychopathology and health (pp.337-386). Chicago: University of Chicago Press. Weinberger, D.A., Schwartz, G.E., & Davidson, R.J. (1979). Low-anxious, high-anxious and repressive coping styles: Psychometric patterns and behavioral responses to stress. Journal of Abnormal Psychology, 4, 369-380. Wegner, D.M. (1994a). Thought Suppression. In D. Druckman, & R.A. Bjork (Eds.) Learning, remembering, believing: Enhancing human performance. (pp. 277-293). Washington: National Academy Press. Wegner, D.M. (1994b). Ironic processes of mental control. Psychological Review, 101, 34-52. Wegner, D.M. (1992). You can’t always think what you want: Problems in the suppression of unwanted thought. In M. Zana (Ed. ), Advances in experimental social psychology. (Vol 25. pp. 193-225). San Antonio, CA: Academic Press. Wegner, D.M., & Lane, J.D. (1995). From secrecy to psychopathology. In J.M. Pennebacker (Ed. )., Emotion, disclosure and health. Washington: APA. Wegner, D.M., Schneider, D.J. Carter, S., White, L. (1987). Paradoxical effects of thought suppression. Journal of Personality and social Psychology, 58, 409-418. Wegner, D.M., Shortt, J., Blake, A.W., & Page, M.S. (1990). The suppression of exciting thoughts. Journal of Personality and Social Psychology, 58, 409-418. Wegner, D.M. & Wenzlaff, R.M. (1996). Mental Control. In E.T. Higgins & A.W. Kruglanski (Eds. ), Social psychology: Handbook of basic principles (pp. 466-492). New York: Guilford. Wegner, D.M., & Zanakos, S. (1994). Chronic thought suppression. Journal of Personality, 62, 615-640.